Villanova forward Omari Spellman (14) pulls up for a three against Kansas center Udoka Azubuike (35) during the second half, Saturday, March 31, 2018 at the Alamodome in San Antonio, Texas. 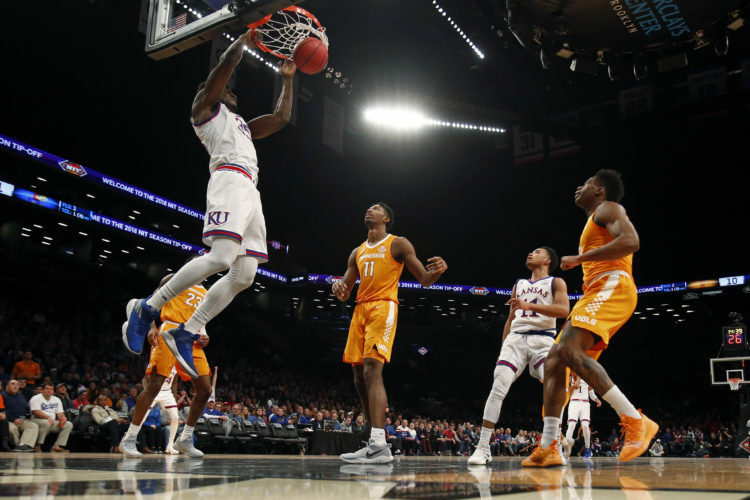 Kansas coach Bill Self and Villanova coach Jay Wright have differing thoughts when watching the replay of last year’s Final Four meeting between the two programs in San Antonio. And they might not quite be what you would expect. 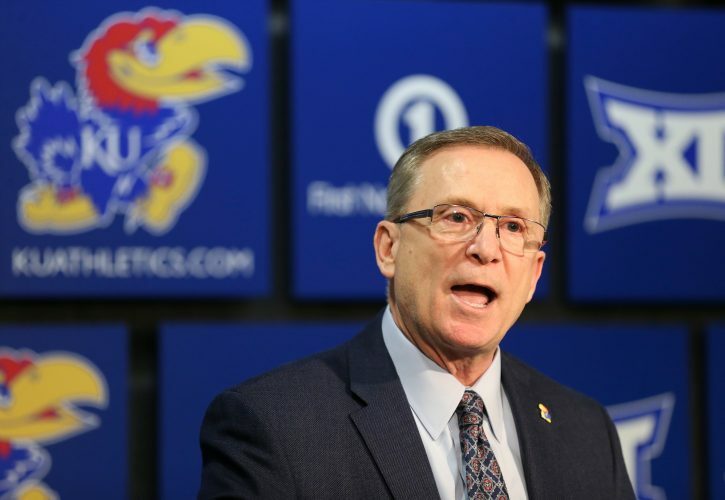 Self, who said Thursday that he had not watched the replay of KU’s 95-79, season-ending loss until he started putting together the scouting report for this weekend’s clash with the Wildcats, said he watched bits and pieces of it on Wednesday. “I watched it enough until I got sick and then I put it away,” he said. He then watched it in its entirety on Thursday morning, and what he saw shocked him. Wright, in a phone interview with the Journal-World on Thursday morning, had no problem saying that his team played extremely well, but had a slightly different way of looking at it. 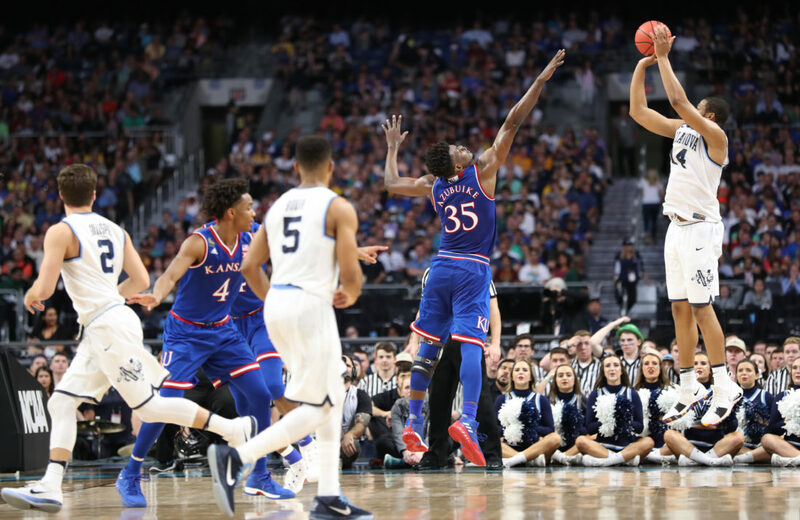 Villanova made a Final Four record 18 of 40 3-pointers in that win over the Jayhawks last March, a mark that included four Wildcats making at least three shots from behind the arc. Given their style of play and personnel, a hot 3-point shooting night was not out of the question. But after looking back at it, Self said his team nearly did as well as could be expected. Former KU forward Landen Lucas, who spent the past several months playing professionally in Japan, is back in Lawrence working out while looking for his next opportunity. 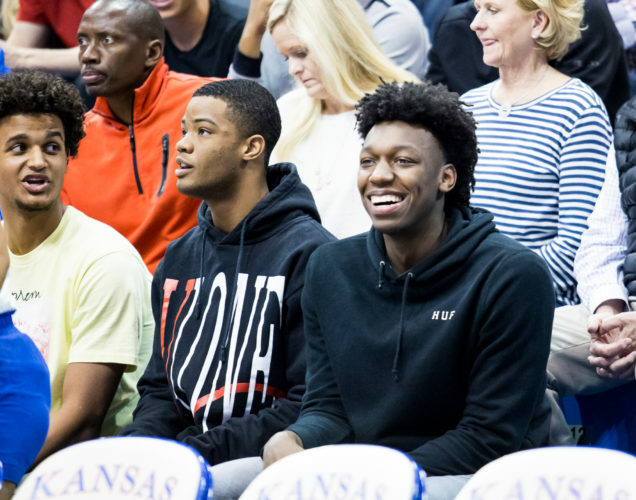 And after attending last weekend’s game at Sprint Center, Lucas spent some time with KU’s big men this week, talking mostly about defense. 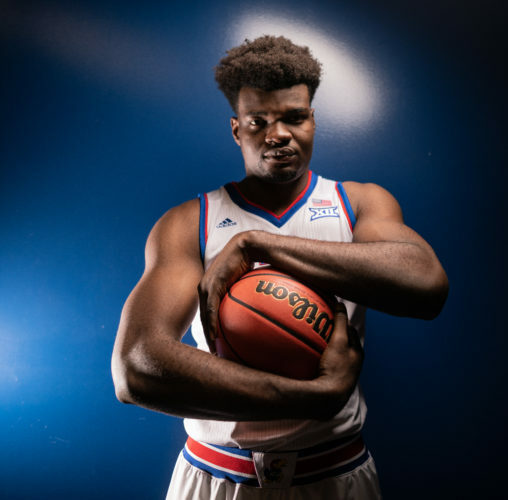 With Saturday’s game against Villanova slated to start earlier than normal, the Jayhawks have adjusted their practice schedule this week to prepare for the early tipoff — 11 a.m. Saturday at Allen Fieldhouse on ESPN. 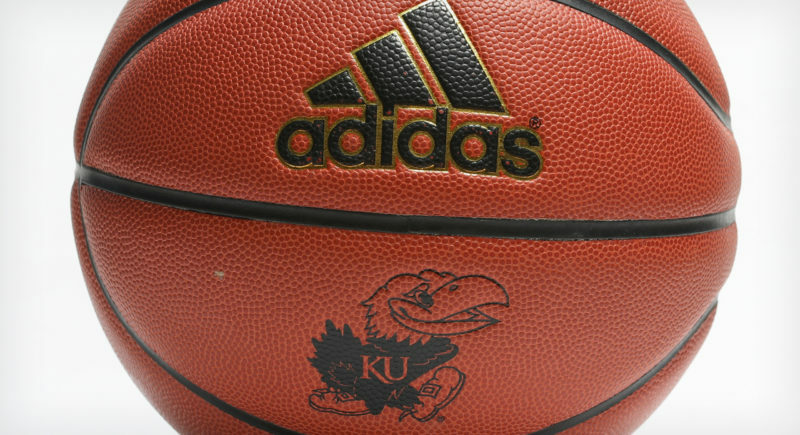 The Jayhawks went a couple of hours earlier than normal earlier in the week and are slated for an 11 a.m. practice on Friday. Self does not think the early tip will impact the energy inside of Allen Fieldhouse.